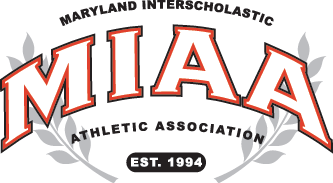 Avenging a loss from one year ago, Calvert Hall overcame a 5-1 first quarter deficit, Thursday, to rally for a thrilling, 10-9, lacrosse victory over Ontario’s Hill Academy. On a tour of the mid-atlantic region, Hill edged St. Paul’s on Tuesday and defeated Gonzaga on Wednesday before arriving in Towson on Thursday. The Canadians started hot, but were not able to hold off the explosive scoring of Calvert Hall’s Timmy Kelly. Kelly scored eight of the Cardinals’ 10 goals and assisted on one other. Andrew Fanshaw also had a goal for Calvert Hall, as did freshman JT Bugliosi. Matt Brashears had an assist. The Cardinals closed their four goal deficit to two, at 6-4, at the half, before finally overcoming Hill in second half. Cardinal goalie Joe McSorley overcame Hill’s fast start and kept his team in the game with 11 saves. Calvert Hall is now 3-0 this season. Goals: H-Vangalen 2, Cook 1, Aspers 1, Jeff 2, Fox 1, Bomberry 1, Ham 1; CH-Kelly 8, Fanshaw 1, Bugliosi 1. Assists: H-Bomberry 2, Fox 1, Vangalen 1, Aspers 1; CH-Kelly 1, Brashears 1. Saves: H-Walsh 9; CH-McSorley 11.